MBAs must learn to act and communicate with authenticity in an era of ‘radical transparency’, according to the University of Virginia’s Darden School of Business Leadership Communication Council. The council, comprising senior communications professionals and academics had met in October to share insights on trends, challenges and best practices in the real world of leadership communication. 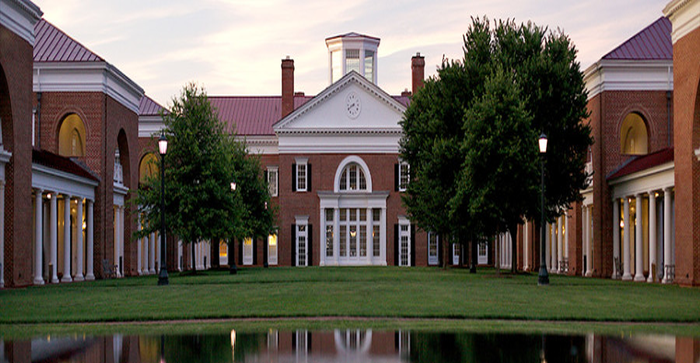 The inputs will be used to design the future of the Management Communication curriculum at the school, Jay Hodgkins, Editorial Director, said in an article in The Darden Report. Rubin’s book ‘Reset: Business and Society in the New Social Landscape,’ was published posthumously with support from co-author Barie Carmichael. The discussions centred on how social media, digital communication and technology-enabled connection have created an era of radical, sometimes painful, transparency for businesses. “Communication is a new core competency,” said panel moderator Eric McNulty, associate director of the National Preparedness Leadership Initiative at Harvard University and author of the upcoming book You’re It: Crisis, Change, and How to Lead When it Matters Most. “When handled well, communication creates transformation. If not, you get chaos. If you think about the work we are doing with education for the next generation, we have to equip people to navigate turbulent times and communicate amid disruption, if they are going to be able to marshal organizations toward positive outcomes,” he added. In such a situation, an organisation needs to be seen as authentic. If it claims to act sustainability, it needs to build into its core values. The agribusiness settled around a narrative that it is “our mission to feed the world,” he said. Soltis pointed out that the claim would achieve authenticity through the business’ efforts to partner with non-profits and others to be more environment and climate-friendly than other large agribusinesses that are often the target of environmental groups. White House Writers Group Managing Director Clark Judge noted that consumers and observers drive companies toward authentic actions that match communication from the leaders and marketing departments, The generational transition toward a millennial workforce was also putting increased focus on organizations communicating their purpose and meaningful values. “Employees are seeking purpose. Purpose is an attraction for my company and all employers. That is what is driving the current wave of well-educated people coming into the workforce,” he added. Council member Dean Foust, director of executive communications for UPS, said authentic commitment to and communication about issues impacting society was one of the only ways to build the trust needed in an era of transparency and disruption. “In this age of social media when it’s possible to crush a brand in minutes, it’s critical to have that Hoover Dam of trust,” he pointed out. The council concluded with a session focused on incubating the next generation of Management Communication (MC) curriculum at Darden. Council members currently practising in the field said, in order to communicate successfully as leaders, the next generation of MBA graduates must be critical, creative and agile thinkers who are able to ask the right questions, operate with high emotional intelligence and continue to learn. Previous ArticleIs MBA And Other Management Programs Becoming More Technology Oriented?